Cathleen and I experimented with Tim Ferriss's "slow-carb" diet over the past few weeks, the results were dramatic. I started off at around 182 lbs on the 21st of February and have managed to get down to 168 lbs today. I am happy to announce that the bulge above my waist that used to resemble a 2-month pregnancy has magically disappeared. So what is this magical Tim Ferris diet? Our typical dinner while on the diet. Eat more protein. We had a whole lot more chicken, eggs and beef than usually did. Each meal must consist of at least 20 grams of protein. Skipping a meal is not really an option. Make sure you have breakfast within an hour of waking up. Even better if you can hit the 30 grams of protein mark. Cathleen relied on boiled eggs while I usually made an omelette with spinach and artichoke hearts. And an addition to that we often had a protein shake in between breakfast and lunch. We ate a lot of green vegetables. Most white food like bread, rice, pasta and potatoes were strictly avoided. No dairy either, I had my coffee black, no cream or sugar. Cottage cheese is one of the exceptions to the rule. No juice or sodas. No sugar. 16 oz of diet soda was the only thing allowed. 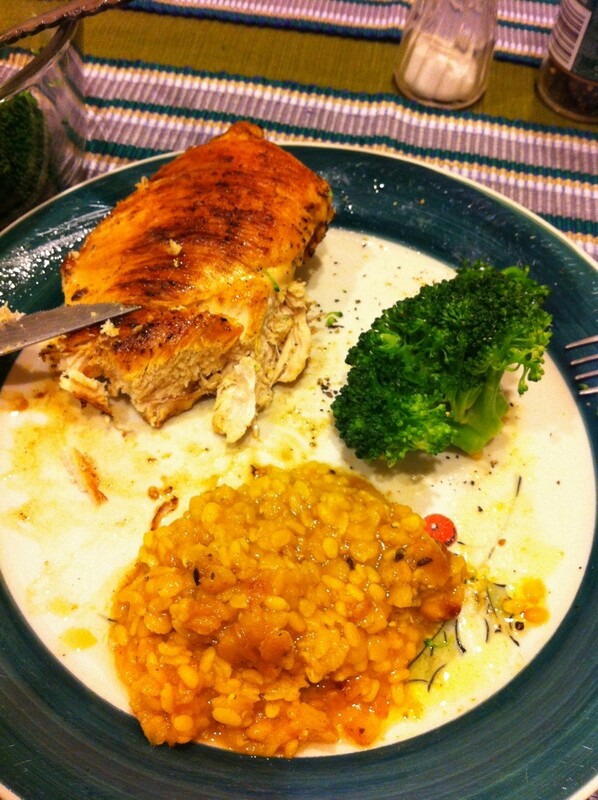 Beans and lentils (daal) were a good addition to the diet. If you're not a big fan of beans, try them with some salsa. This is a 6 day ritual, the 7th day must be a binge day. Eat your heart out on the binge day but try to not start off the day with sugar. Also, drink a lot of water. It's also important to note that you keep track of your fat loss. Measure your weight religiously every morning. Measurement = motivation. I noticed that the readings were a little more pleasing after the morning urinary displacement. The average man urinates 600 ml, which adds up to a lb of water weight. This was a two week experiment, you can see a slight gain of weight after some carb in-take the past week. 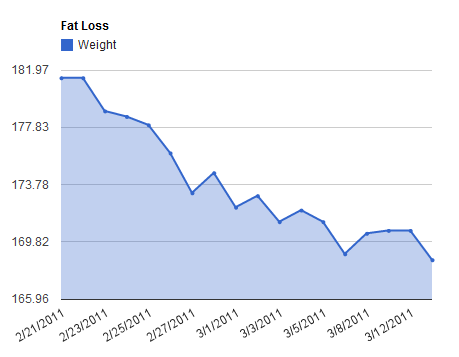 However, I've tried to keep this to a minimum (except for the two day cookie binge at the in-laws).